Social media marketing is a must-have for businesses these days, but not everyone knows how to use it effectively. Some businesses may not know all of the platforms available and others might not know how to tie them in with already established marketing practices. Digital interaction can even help put promotional products to greater use through contests. According to Entrepreneur, LinkedIn and the market research firm TNS asked decision-makers at roughly 1,000 small and medium businesses about their social media practices. 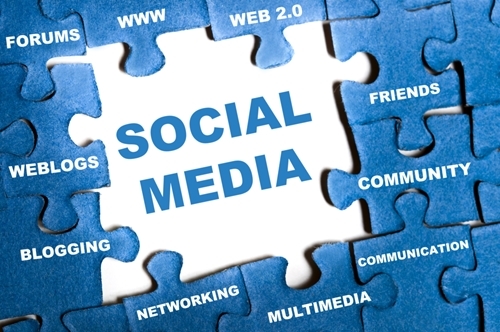 Results showed that 81 percent of the companies use social media to drive growth. Additionally, 94 percent of respondents use it as a marketing tool. One mistake that businesses make in regards to social media is forgetting about the first half of the name; it’s supposed to be social. Forbes discussed the book, “A Social Strategy: How We Profit from Social Media” by Mikolaj Piskorski, in which the author looks into why social media is so popular. What’s important for businesses to glean is that content posted on social networks should be engaging. The goal is to create relationships and interactions between consumers and the company, as well as fellow consumers. Entrepreneur provided a breakdown of the various social platforms and which are most essential for businesses. There are four key questions to ask when deciding which networks to put time and resources into. Consider what sites the target audience is enrolled in, what sites it is active on, where it searches for information and any niche sites that fit the industry. Read more about four of the most dynamic social media sites and how they can enhance the business. As the largest and most popular social network, Facebook seems like an appropriate place to begin. There are over a billion Facebook users, more than half of which are active daily. It’s the most versatile platform because posts from every other website can be added to a company’s Facebook page. It also incorporates text, video, photo and links while encouraging sharing, liking and commenting. Because there are so many ways to engage on Facebook, opportunities for contests are endless. A company page can be used for people to enter anything from a writing competition to a photo challenge in exchange for promotional items. Twitter is great for getting little bits of information and links out to followers. Entrepreneur found that Twitter is more of a brand loyalty platform than a way to increase sales because users reported feeling more attached to a business they interact with online. Reach out to fans on Twitter about new sales and custom promotional products being offered. As a strictly photo and video platform, some companies may wonder what they could post. It may take some creativity and it isn’t appropriate for every industry but consider how visuals could be conducive to the business. Keep in mind, liking and commenting on other posts will help build a following. Contest ideas include posting mysterious pictures and asking followers to guess what is shown, or accept photo submissions for a contest and post the winners on the business’ page. Another very visual website, YouTube is also extremely visible. It has been dubbed the second largest search engine, following Google, and reaches more adults than cable networks do. Use the company’s YouTube channel to host video contests. Choose a theme and have participants email videos or message them using Facebook. Depending on the response level, either post all of the videos or sift through for the best ones. Ask people to vote for their favorite video and reward the winners with unique promotional products.